Santarcangelo is a split single between JG Thirlwell and Italian musician/composer Teho Teardo, It documents separate sound installations they did at the Santarcangelo festival in Italy a couple of years back. 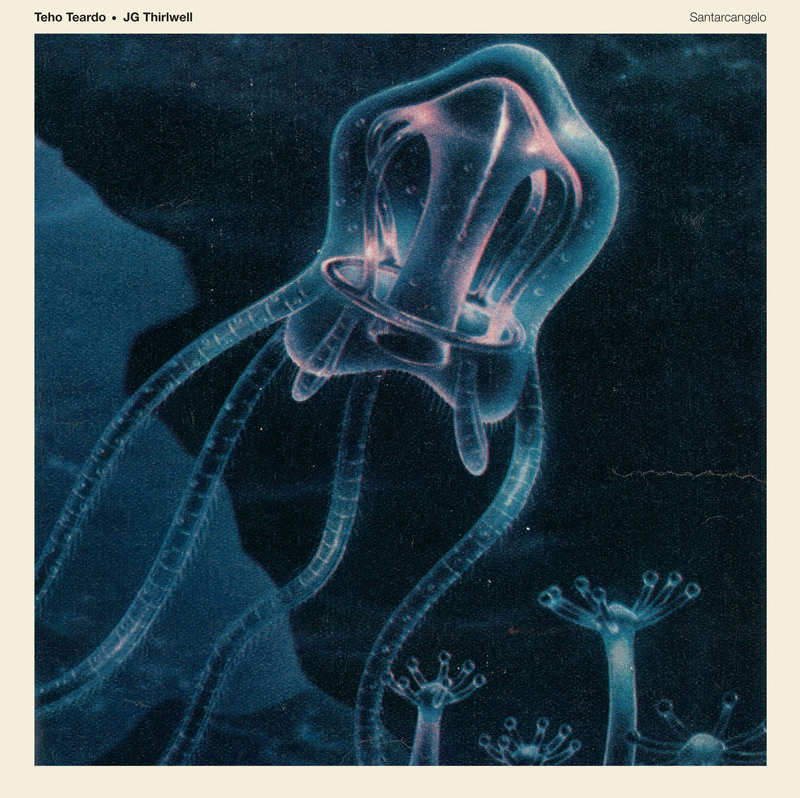 Released on Teardo’s Specula label, it is currently exclusively available from his website. The pressing is limited to 500 copies, one hundred of which are on blue vinyl. Thirlwell’s piece on the single, entitled Ecclesiophobia, is a recording distilled down to six minutes from a three hour installation piece. This involved a bottle of water dripping onto a bass drum head through an intravenous attachment, which reflected ripples throughout a vaulted subterranean chamber and triggered a low frequency which resonated in another room. This was accompanied by a live manipulation of field recordings of church bells from the medieval town, along with other compositional elements, into a four channel installation.